Welcoming Spring time in the Pacific Northwest is somewhat of an event. We have had a long Winter, for here, and everyone is ready to head out in 50 degree weather as if it’s 70, sun shining, sandals and shorts on with farmers markets raging on opening weekend like a frat party is happening. The market in Portland goes on through most of the Winter, but the rest of the markets opened last week. Just in time for me to share a Spring time favorite, and a sunny recipe for my next appearance on KATU AM Northwest TV show Wednesday March 26th. Rhubarb Shortcakes are on the menu today and that is what I’ll be showing you how to make on TV. Here is the segment from AM Northwest! 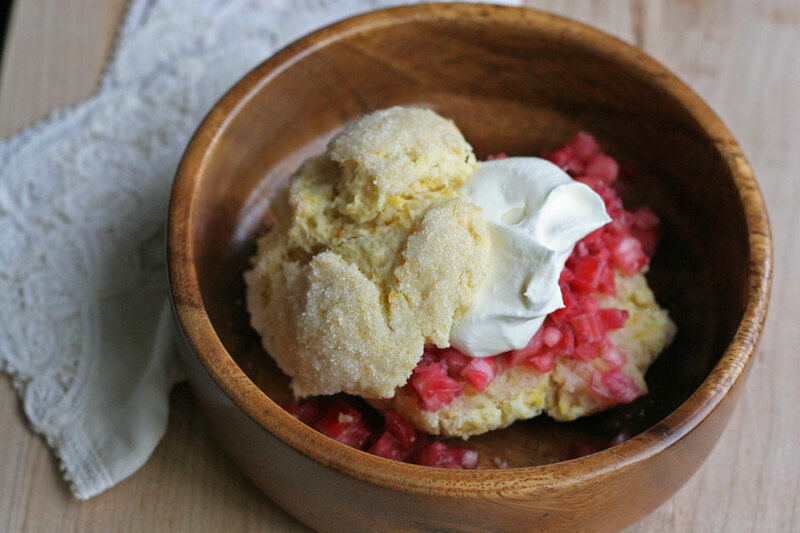 This Rhubarb Shortcake recipe is a tasty take on the traditional strawberry shortcake recipe I made last year. 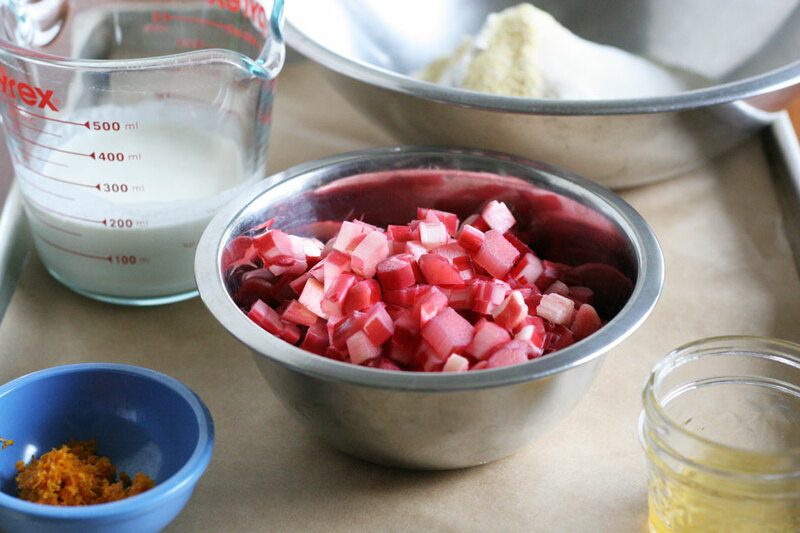 But with rhubarb being the underdog of Spring fruit, and the first to arrive for Spring in this area, I wanted to give you a way to take advantage of this tart, and tangy fruit that is underutilized and abundant. It is the gateway to all things Spring, as soon as it pops up, many glorious fruits and vegetables are soon to follow. 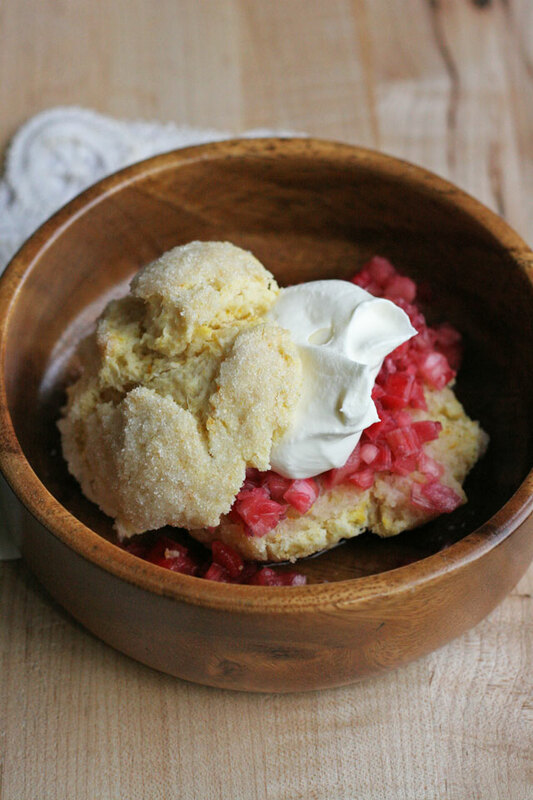 So why not give homage to this early treat and make it the star of this Rhubarb Shortcake! Adapted from my favorite fruit desserts cookbook, Rustic Fruit Desserts. This dough comes together very easily. Note: These creams are basically the same. Chantilly cream is the French version of American whipped cream. The difference is that Chantilly cream uses granulated sugar, and American whipped cream uses powdered sugar. I prefer the Chantilly cream and use organic sugar. 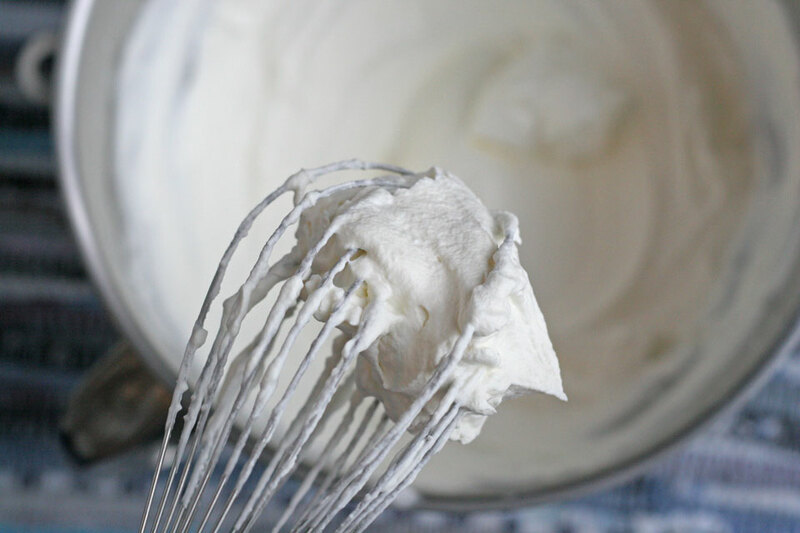 Chantilly Cream Tip: Place the bowl and whisk you will be using to make the cream in the fridge or freezer to make a more stable cream. Cold cream whips up better than warm cream. 1. 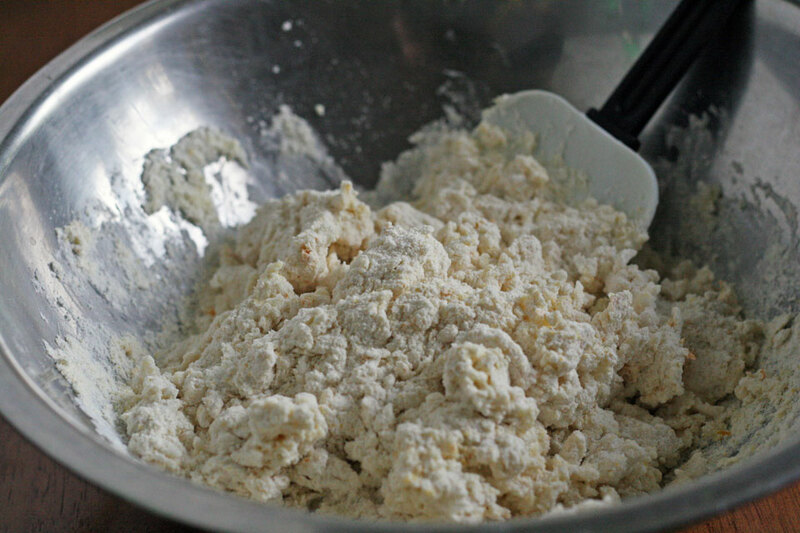 In a large bowl add the flour, cornmeal, baking powder, sugar, salt, and orange zest. Whisk to combine. Stir in the cold cream, just until combined, do not over mix. Turn the dough out onto a lightly floured counter. Knead the dough 8 to 12 times until the dough comes together. 2. 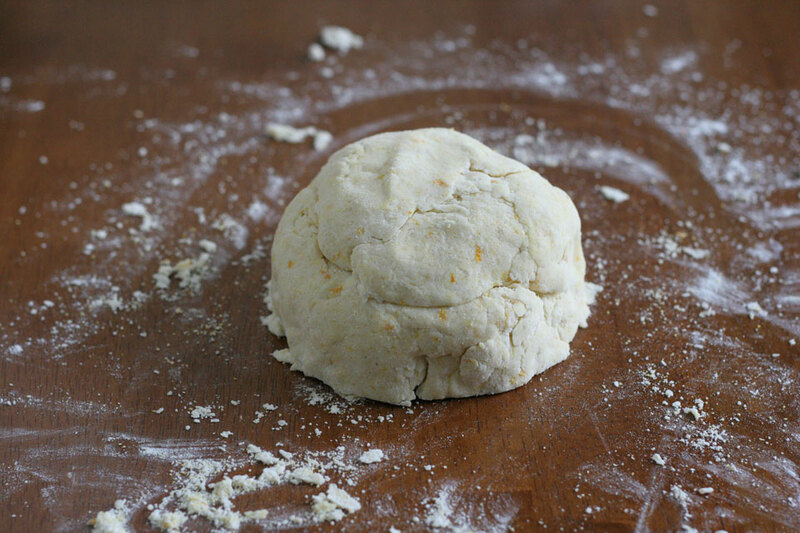 Using a bench scraper or a knife cut the dough into 8 equal pieces, and roll into balls. 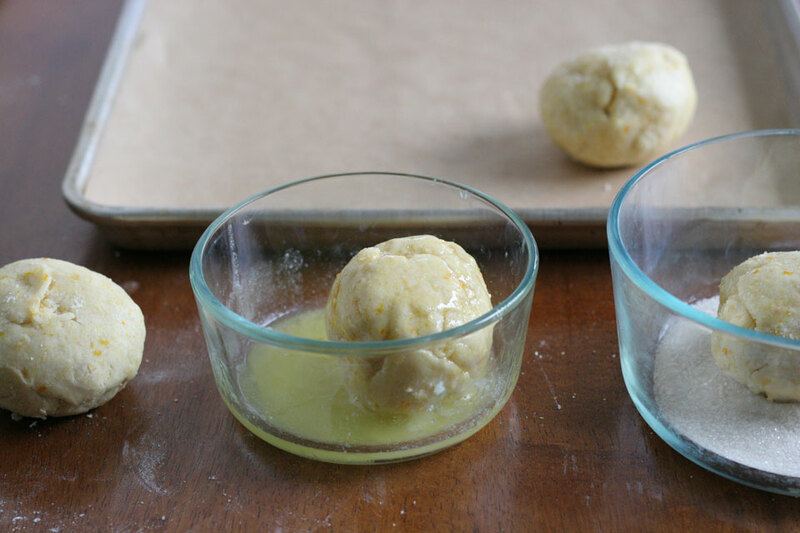 Dip each ball into the melted butter, then dip 1/2 of the ball into the 1/4 cup granulated sugar. Place the balls on a sheet pan lined with parchment paper, sugar side up. Bake for 20-25 minutes. Allow to cool on a cooling rack for 15 minutes. 3. While the shortcakes are baking, work on the Chantilly cream. In a large bowl add the cold heavy cream, and sugar. 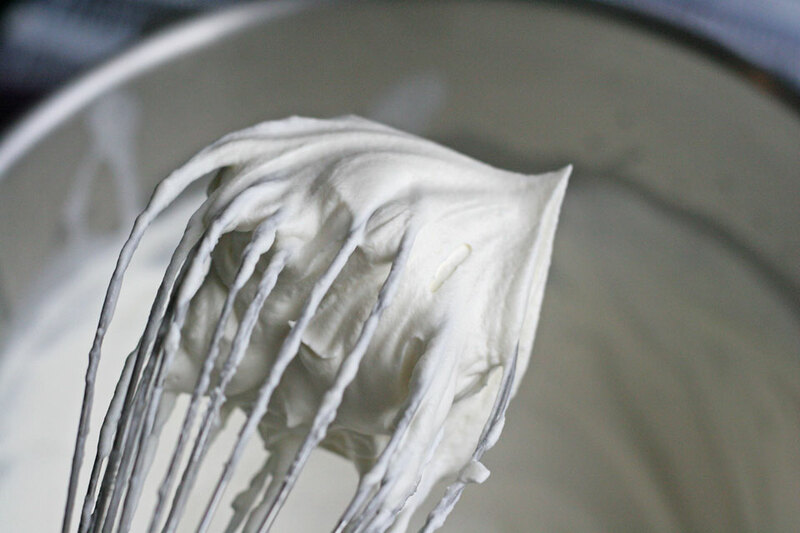 Using a whisk, whip until stiff peaks. Stiff peaks stand up from the whisk when you hold the whisk up in the air. Like below. You can also use a hand mixer, or stand mixer fitted with a whisk attachment. Assemble: Cut the shortcake in half, place one half on a plate. Spoon 1/4 cup of the macerated rhubarb onto the shortcake, make sure to add some of the juice. Spoon a dollop of whipped cream onto the fruit, and top with the other half of the shortcake. They are so good and have a great unique flavor, I just love.